Hair Stories for Curly Ladies! Check out our Honors page to see the accomplishments of our current players and alumni. 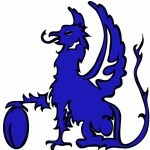 Keystone Rugby Club uses WordPress as content manager.